Reading and share top 6 famous quotes and sayings about Illusionist by famous authors and people. Browse top 6 famous quotes and sayings about Illusionist by most favorite authors. 1. 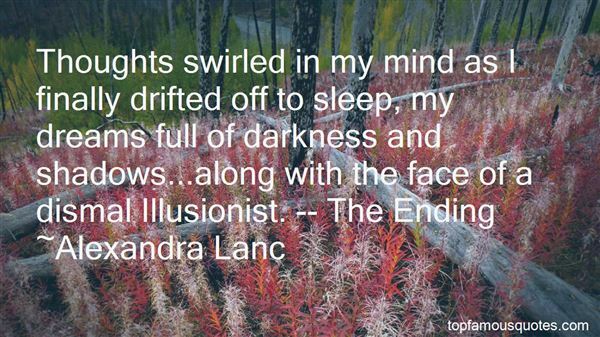 "Thoughts swirled in my mind as I finally drifted off to sleep, my dreams full of darkness and shadows...along with the face of a dismal Illusionist. -- The Ending"
2. "My Illusionist, will you take me into a world filled with timeless magic?" 3. "And you have to be careful with illusionists: sometimes evil deceives us by assuming the simplest form of things." 4. 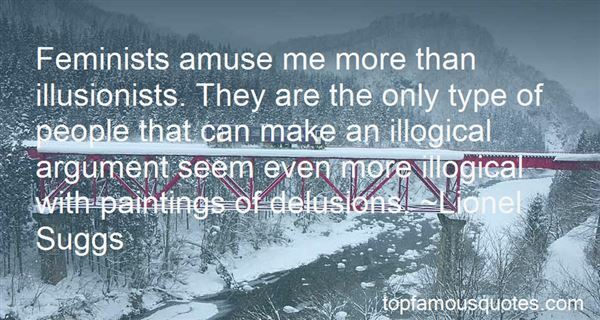 "Feminists amuse me more than illusionists. They are the only type of people that can make an illogical argument seem even more illogical with paintings of delusions." 5. "All spiritual practices are illusions created by illusionists to escape illusion." 6. 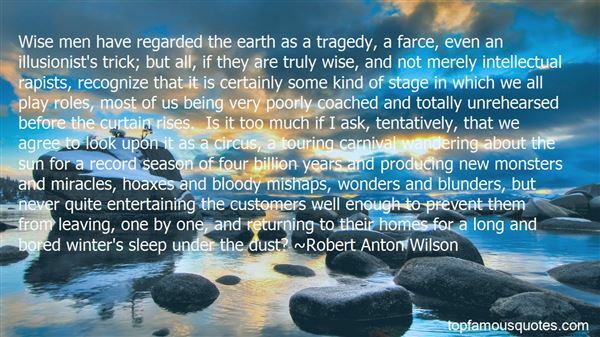 "Wise men have regarded the earth as a tragedy, a farce, even an illusionist's trick; but all, if they are truly wise, and not merely intellectual rapists, recognize that it is certainly some kind of stage in which we all play roles, most of us being very poorly coached and totally unrehearsed before the curtain rises. Is it too much if I ask, tentatively, that we agree to look upon it as a circus, a touring carnival wandering about the sun for a record season of four billion years and producing new monsters and miracles, hoaxes and bloody mishaps, wonders and blunders, but never quite entertaining the customers well enough to prevent them from leaving, one by one, and returning to their homes for a long and bored winter's sleep under the dust?" We're all human. It's the most important, neglected fact in business."